Qualifications:First Class Engg. Degree (Four/ Three year duration) granted by an Indian University* in the respective field with not less than 65% marks. Note : Candidates who have passed BE/ B.Tech from July 2012 onwards is only eligible to apply. The relevant qualification should be passed with minimum First Class with not less than 65% marks/ equivalent cumulative grade points. Final result awaited candidates need not apply. Stipend : Rs. 5000/- per month. How to apply: interested and eligible candidates should apply online only before 21.10.2014 for registering applications. The above documents should be sent in a cover super scribed with “Application for Graduate Apprenticeship Training (Discipline: )”, to the The Sr. 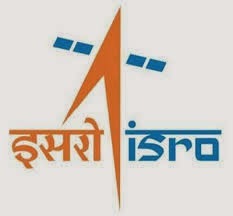 Administrative Officer, Recruitment and Review Section, Vikram Sarabhai Space Centre, Thiruvananthapuram-695022 by ordinary post, so as to reach on or before 31.10.2014.
tags: Isro recruitments for engineers 2014, isro satellite launch,how ece related to isro,isro scientist jobs,ece fresher recruitments,isro launching,isro positions,isro ece jobs.